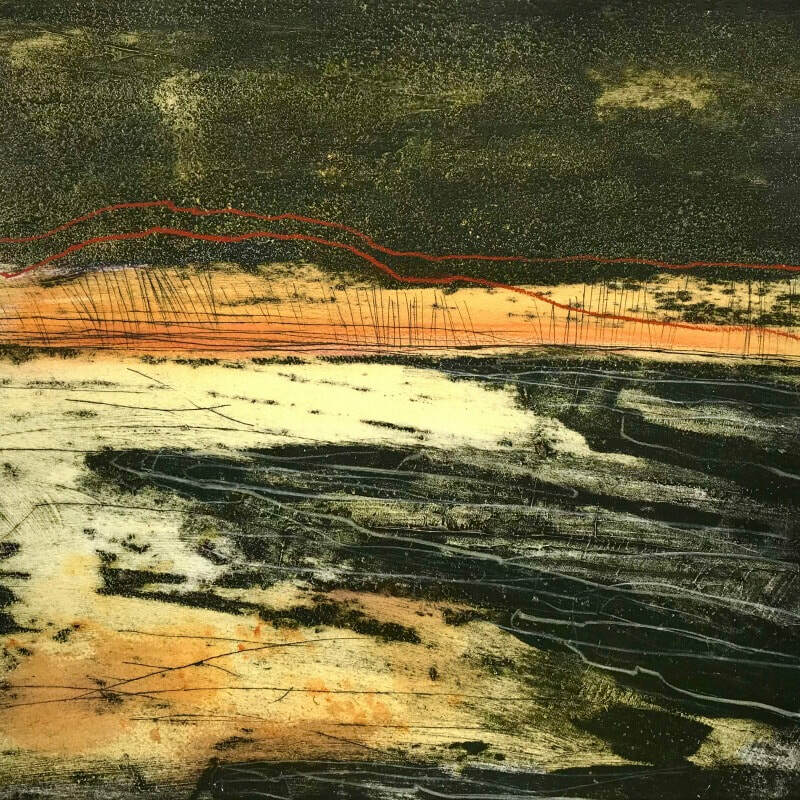 Clare’s monoprints and collagraphs are inspired by familiar landscapes and seascapes around Cornwall, Yorkshire and the Cambridgeshire Fens. 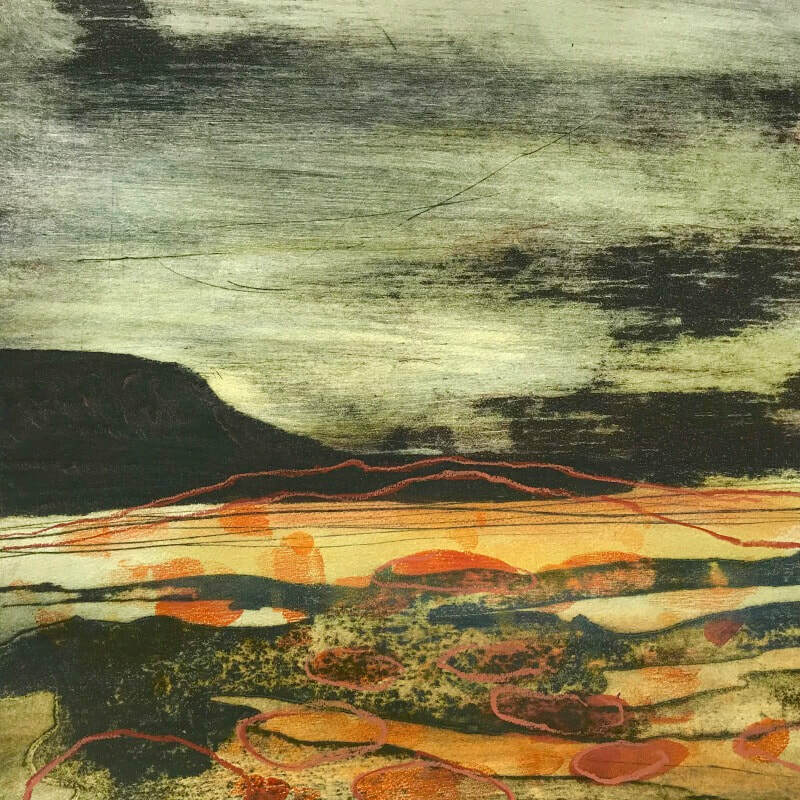 Bold organic shapes are centre stage in Clare’s printmaking which suggest ancient rock formations, weatherworn fragments and primordial landscapes. 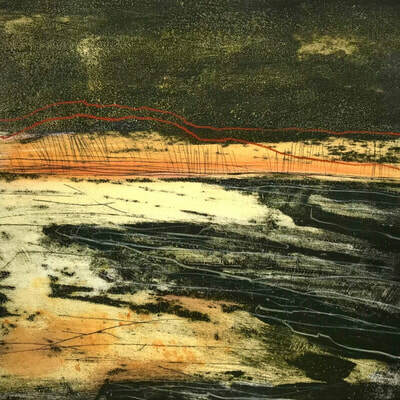 Clare originally trained as a Painter, so it is natural for her to take an expressive approach to printmaking. She begins by building up layers of carborundum, pumice and plaster on card, making marks in much the same way as she paints. She often burns back into these plates, allowing the process to dictate the outcome to an extent whilst retaining control of the feel of the shape. 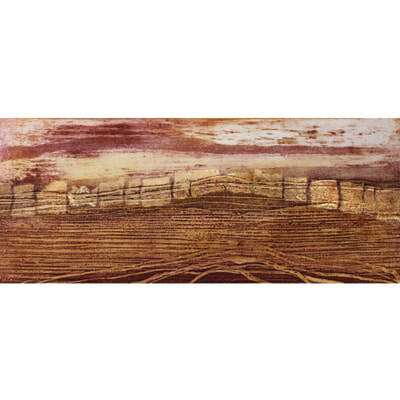 This allows her to create organic feeling forms which are often layered together to create her finished printing plates. Using an intaglio method of printing Clare creates heavily embossed prints with deep velvety tones, which contrast with bright colour rubs which she layers on top. 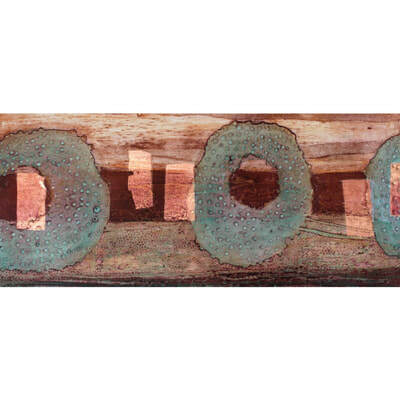 She incorporates rust imprints, pure copper, silver and gold leaf creating areas of intense light and interest under the printed surface. Clare exhibits nationally and has work in collections around the world. 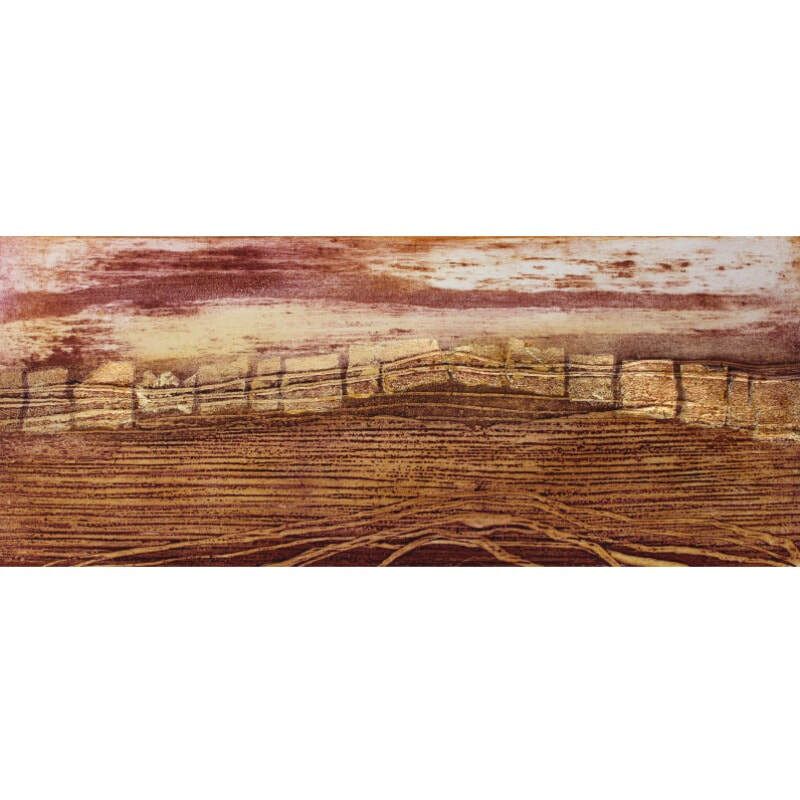 Clare's printmaking process can be viewed here.